This is a pleasant family site with a friendly, relaxed atmosphere. It has recently been taken over by the Commare family who have started a programme of improvements by adding a cover to the pool and rebuilding the main toilet block. The 110 grassy pitches (80 for tourers, all with 10A electricity) are attractively located in woodland. Most pitches have some shade at different times of the day. 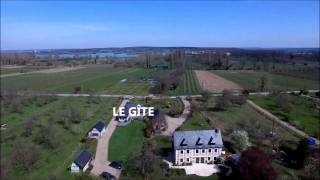 The nearby village of Jumièges, a short walk away, is surrounded on three sides by one of the huge bends of the River Seine - it is located in the Parc Naturel Régional des Boucles de la Seine. The great abbey at Jumièges was founded in 654 by Saint Philibert, rebuilt by the Normans and consecrated in the presence of William the Conqueror – well worth a visit! The village also has a few shops and a choice of four restaurants. Historic Rouen is an easy drive to the east and has a great deal to offer; as well as its famous cathedral, its picturesque streets and its associations with Joan of Arc, it is a great place for those seeking retail therapy and has a good choice of bars and restaurants. 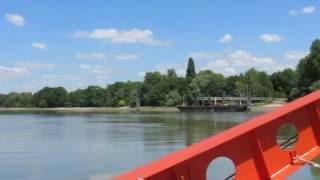 Take your car, or your bicycles, on the Bac (a car ferry) across the Seine to the west of Jumièges and you are in the heart of the Parc Naturel and the extensive Forêt de Brotonne. Other days out could include a trip to Honfleur, with its water-front bars and restaurants. The central toilet block has been rebuilt and fitted out to a high standard with washbasins in cubicles, and preset showers. A second, smaller block (refurbishment is planned) has toilets and open-style washbasins, baby room, facilities for disabled visitors and laundry facilities. Motorhome services. Shop (bread to order). 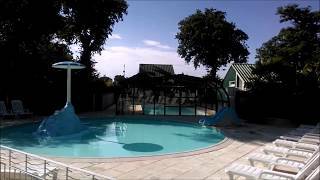 Small swimming pool with retractable roof and paddling pool (both heated 1/6-15/9). Playground. Boules. Games room with TV. Outdoor fitness equipment. Bicycle hire. WiFi over site (charged). Chalets, mobile homes and two tents to rent. From A29 (Amiens/Le Havre), exit 8 (Yvetot) and head south for Pont de Brotonne (D910/D33/D31/D490). Before bridge, take third exit at roundabout on D37A (Rouen) to roundabout below bridge. Turn southeast on D982, through Le Trait and in 11 km. turn south to Jumièges. Site clearly signed to left on entering village. From A13 (Rouen/Caen) at exit 25 take D313 north to Pont de Brotonne. Immediately after crossing bridge take first exit at roundabout on D37A (Rouen/le Trait) then as above. 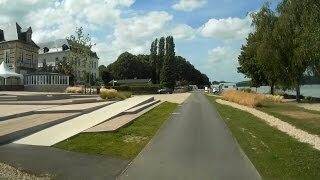 Please note: Jumièges is signed from D313 but this route uses a ferry that does not take caravans or motorhomes.